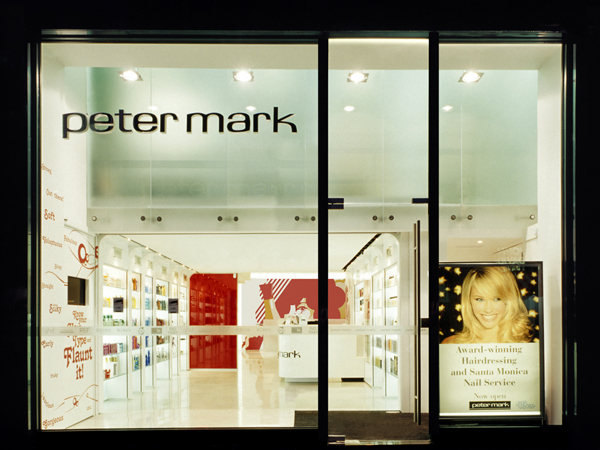 Peter Mark, Mary Street is not just a hair salon. 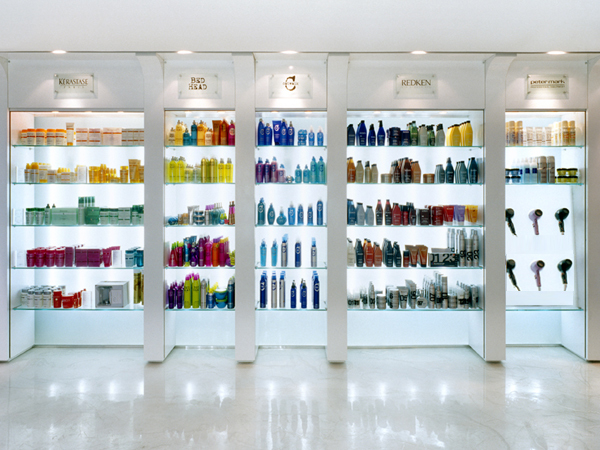 It is a distinct retail store and a salon. It was conceived in reaction to an opportunity identified by Peter Mark; clients are looking for high quality products backed up with personal recommendations of experts. 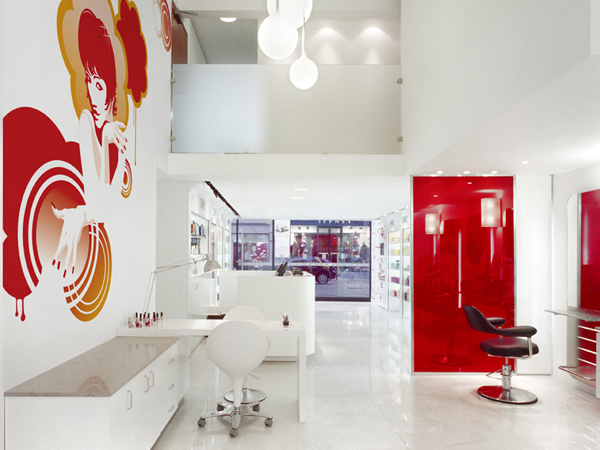 The space was designed to showcase the Peter Mark knowledge of hair care. Design aspects include the use of bold dynamic graphics on the rear wall with a double height space over the nail adding a vibrancy & energy to the salon. The introduction of a bespoke resin floor to the ground floor & retail area, gives the feeling of a poured luxurious, iridescent shampoo. The effect adds depth, while retaining a simple palette. 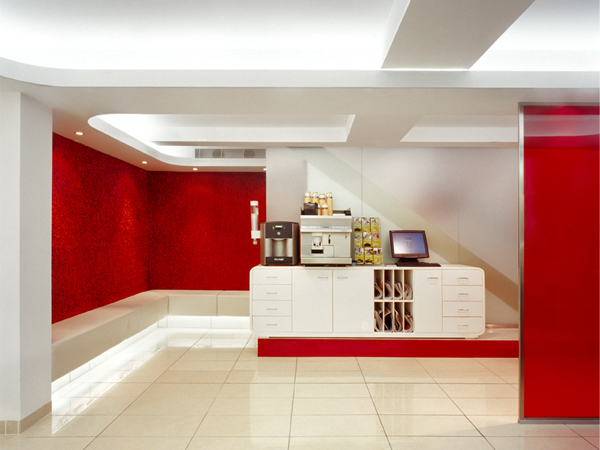 The colour scheme is white to light colours punched with powerful red & orange graphics, vibrant red resin screens and chunky shag pile carpets on the walls. The completed design has resulted in an elegant urban hair salon with a slight nod to retro chic. The Mary St design has challenged the standard formula for hair salons. Top Prize winner in the Best Retail Space Interior in the “Interior Design” awards. 1st place in the service retail category. 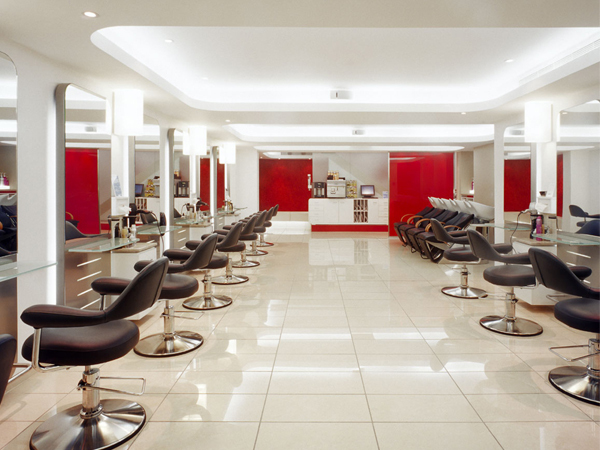 The salon was selected from over 170 salons worldwide.